Whether you are looking for temporary or permanent driving work, you will be assigned a dedicated consultant who will give honest, impartial and professional advice at all times. For temporary assignments, your interview will include an assessment of your skills and background experience. We will identify and agree with you the type of driving work you want and do our level best to provide suitable and regular ongoing work. All we ask is that you attend interview prior to commencement of duties and bring along with you – both parts driving licence, digi card, proof of eligibility to work in the UK (passport/birth cert.) proof of address (utililty bill) and Ni number. If you are a self employed/Ltd company contractor please bring your certificate of incorporation and your VAT certificate (if you are VAT registered). Above all you will be treated with respect and receive a quality and confidential service at all times. If you would like to become part of our extensive driving team then please take a look at our Current Vacancies or pick up the phone and call one of our experienced and dedicated driving consultants to find out what other work we have for you which may not be listed on our website. 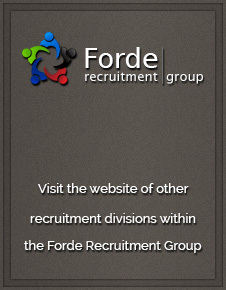 Click here to sign up to our regular newsletter to stay up to date with Forde Recruitment news and the latest from the industries we recruit for. Also for our candidates, job alerts to make sure you are always aware of what we have available!